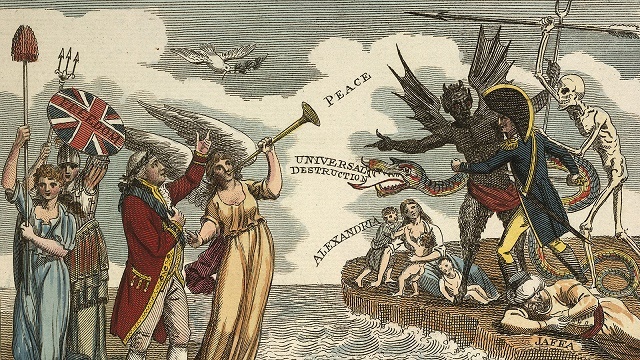 A 1819 caricature by George Cruickshank mocks the ‘Radicals’ campaigning for parliamentary reform as dangerous murderers and debauched atheists. 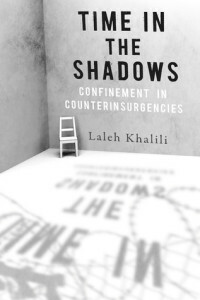 Unlike Zamoyski, Laleh Khalili’s book, Time in the Shadows: confinement in counterinsurgencies (2013), does not shy away from drawing explicit parallels between the past and the present. 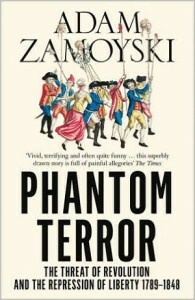 Indeed, the very purpose of her book is to delineate the continuous trajectory of practices from the colonial period into the present day. 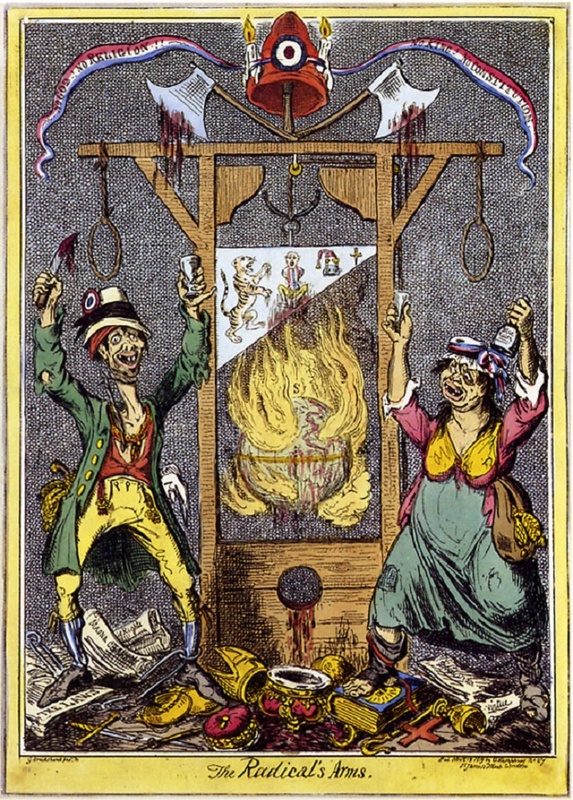 The post-French Revolution period witnessed an era of extreme repression; including the suspension of habeas corpus, installation of the security state, and widespread suppression of civil liberties, ultimately leading to further disenfranchisement. 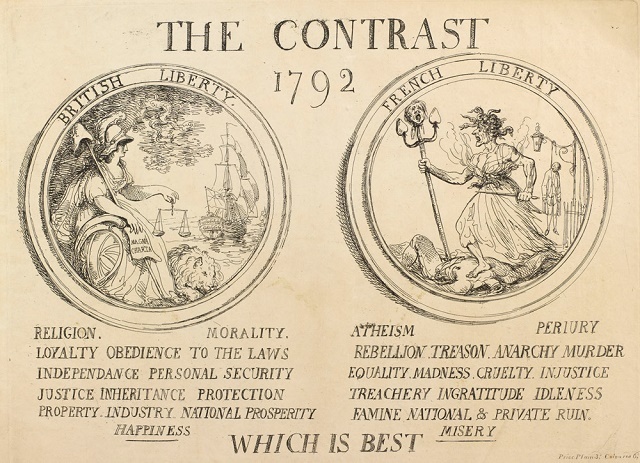 During the colonial period, these measures were taken to a completely new level, as the principles of counterinsurgency became entrenched. The War on Terror has resurrected and redeployed many of these same practices, the latest being the ideological drive against ‘extremism’. Today, it is surely time, more than ever, to rethink the way we approach the issue of political violence, and to refuse to let our fear determine our response. A fully-referenced version of this paper is available to readers on request. Unblocked game junction is a gaming hub here you will get many games which you will able to play online on your pc on just single lick on homepage.